We went off on a brief romantic tangent to celebrate my anniversary with Mike (thanks for all your congratulations! ), but now we need to get back to some serious business. SERIOUS business. I told you after making my Coconut Cream Tart that I had some of that heavenly coconut pastry cream leftover. The dessert I came up with to use that leftover pastry cream is now (drumroll, please . . . are you drumrolling?) MY FAVORITE DESSERT OF ALL TIME. Wow. I eat a lot of desserts, so you know this must be big. Well, actually it’s small and cute. But BIG in taste! 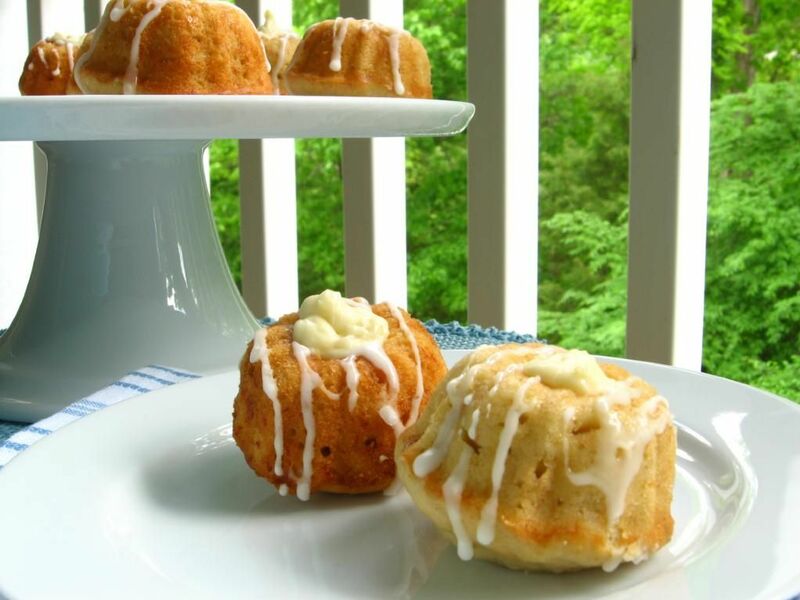 These sweet little cakes are Banana Mini-Bundt Cakes filled with Coconut Cream and topped with a sweet pineapple glaze. My sister describes the coconut pastry cream as “tylenol PM that tastes good” because it’s so soporifically sweet and creamy. Imagine that deliciousness stuffed into the center of a bright, dense, moist banana cake. Now add the slight tang of pineapple. 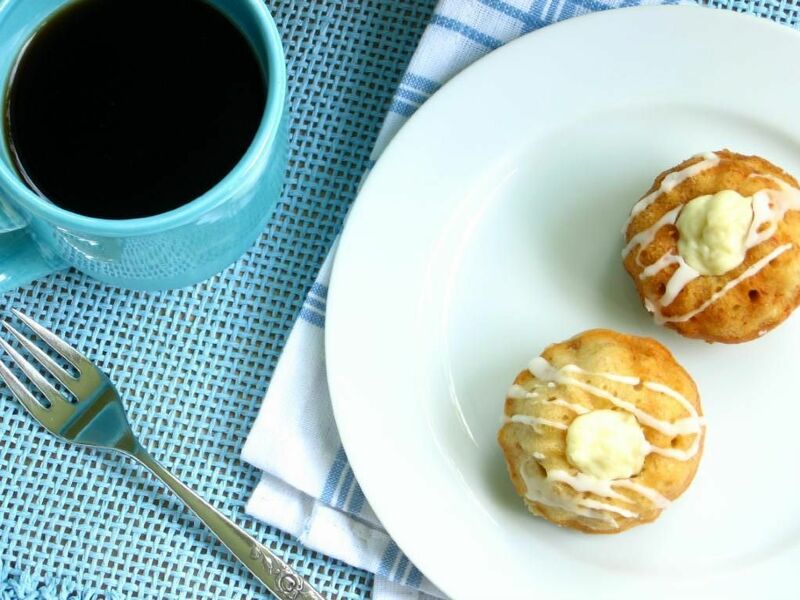 NOW MAKE THAT AMAZING DESSERT SO SMALL AS TO ALMOST BE BITE-SIZED. That, my friends, is a winner. Some of you are getting all whiny right about now. Hey, there’s no shame in that; I get whiny sometimes, too. You’re thinking, “Oh well, I don’t like bananas,” or “Ew, coconut,” and it’s even POSSIBLE that there’s someone out there thinking, “Gross, pineapple.” Weirdo. Kidding, kidding — I don’t think any less of you pineapple haters! BUT before you write off this dessert for any of the reasons above, let me give you a run-down of why you should try it anyway. 1. I dislike bananas. They’re odd. Nevertheless, I still love these cakes more than I can really explain. 2. My roommate hates coconut with a passion. She would barely consent to try one of these. Nevertheless, she loves these cakes more than almost anything I’ve ever made. 4. You will love these cakes. YOU WILL. Some of you, instead of whining, are mourning right now: “I don’t have a mini-bundt cake pan!” I didn’t either until my roommate bought me one (thanks, Barb! ), so one option is to be really sweet to the folks you live with and keep your fingers crossed. The other (more realistic) option is to simply make these as cupcakes. I think they’d work out just fine — maybe not quite as adorable, but still just as tasty. To reiterate how amazing these cakes are, let me tell you about my little mixup while making them. I was hoping to get 12 mini-bundt cakes out of this recipe but, because I failed to check the size of the pan in the original recipe, I ended up with 32. At first I was annoyed — who on earth was going to eat the extra 20 CAKES?! Yeah, that did not turn out to be a problem. They were DEVOURED. In fact, as Mike and I polished off the last few cakes, we wept a little. Okay, maybe we didn’t actually cry, but we were crying on the inside. I can’t wait to make these again. Please, if you make one thing from this willowy, birdbrain blog of mine, make these! I’m anxious to hear what you think. Preheat the oven to 350. 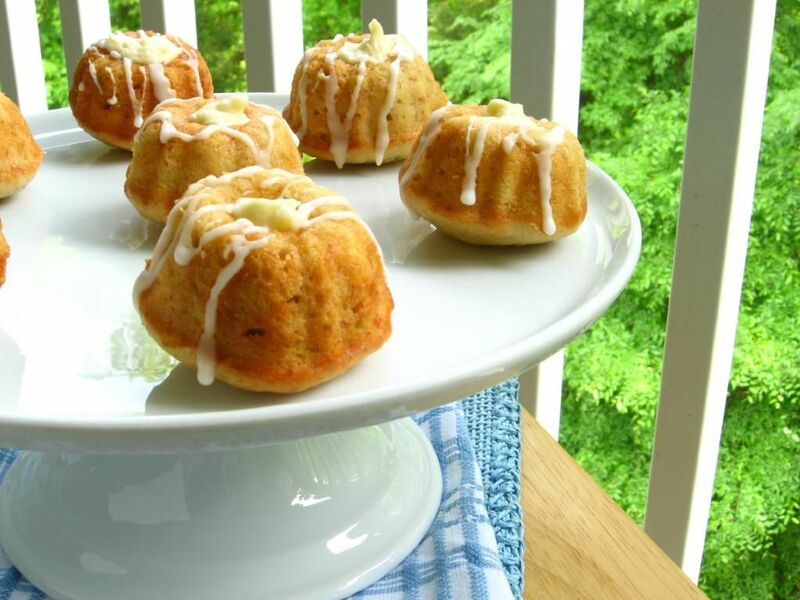 Generously butter a mini-bundt cake pan or cupcake pan. While cakes are baking and cooling, make coconut pastry cream. Heat the coconut milk, sugar, salt and vanilla bean or extract in a medium saucepan over medium heat. In a bowl, whisk together the egg yolks and corn starch. Once the cream is hot, remove the vanilla bean (if used), scraping out any remaining seeds and returning them to the cream. Add 1/2 cup of the hot cream slowly to the yolks, whisking as you add, to temper the eggs so they won’t cook into an omelette in the middle of your pastry cream. That would be a bummer. Then pour the yolk mixture into the pot of hot cream and whisk. Continue to whisk with heat on medium-high for 3 more minutes. The mixture will turn thick and bubble. You need to continue to whisk for the full 3 minutes or the pastry cream will separate once it is cool. After the 3 minutes, whisk in the butter. Add the coconut flakes. Pour into a shallow dish to cool. When cakes are cool, hollow out the center of each mini-bundt cake (or, for cupcakes, you can use the cone method). Pipe in as much of the coconut pastry cream as will fit. 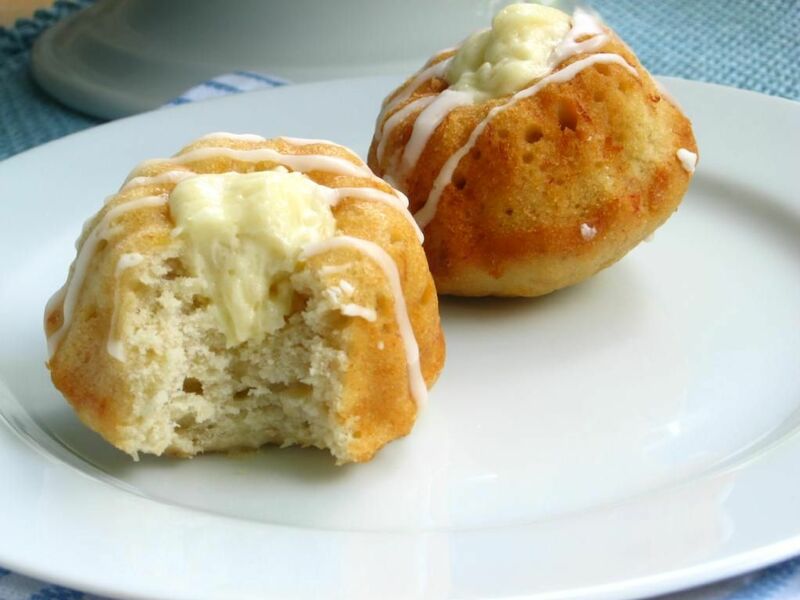 Whisk confectioners’ sugar and pineapple juice together to form glaze. 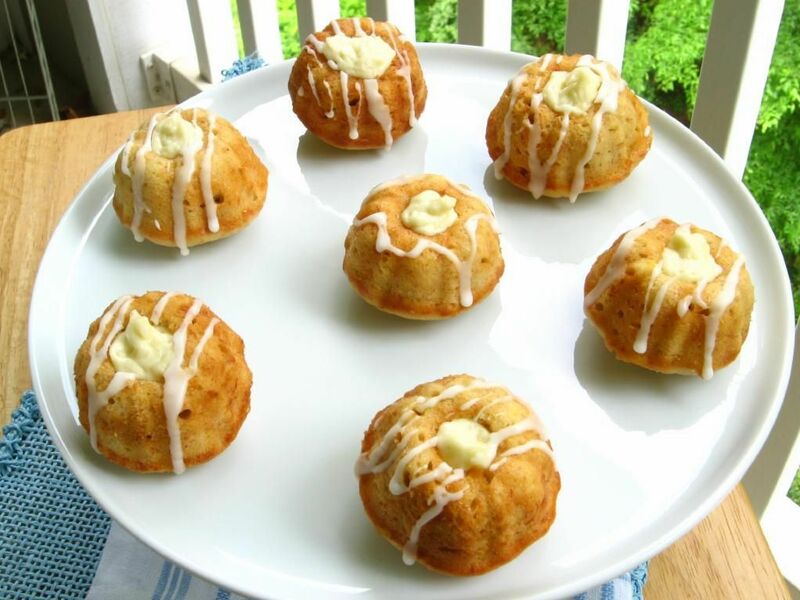 Drizzle over filled mini-bundt or cupcakes. Store in an airtight container in the refrigerator for 5-7 days. NOTE: These things are aaaaamazing served cold straight from the refrigerator! They’re dense, creamy, cool hunks o’ bright flavor. *NOTE 2: This recipe actually makes twice as much coconut pastry cream as you need to fill the cakes. I split my pastry cream and made these with half, and a Coconut Cream Tart with the other half. If you’re not keen on a tart, you can also just double the number of banana cakes you make to fill, or find some other creative use for the excess cream. I suppose you could also try halving the coconut pastry cream recipe, but I didn’t want to fiddle with halving three yolks and a can o’ coconut milk. Okay, okay! You twisted my arm! These do look delicious. Good enough for people who don’t like coconut? That’s a tall order, but I’m tempted to try making these. Worse case scenario, even if I don’t like them with coconut cream, I love the mini banana cake idea so much that I could always tweak it a bit…like making strawberry cream instead. These sounds awesome! I think I might give it a try as a full size cake. Thanks, Kaitlin! Let me know what you come up with. Those are so cute and delicious looking! Wow – awesome and dangerous! I could eat all of them. 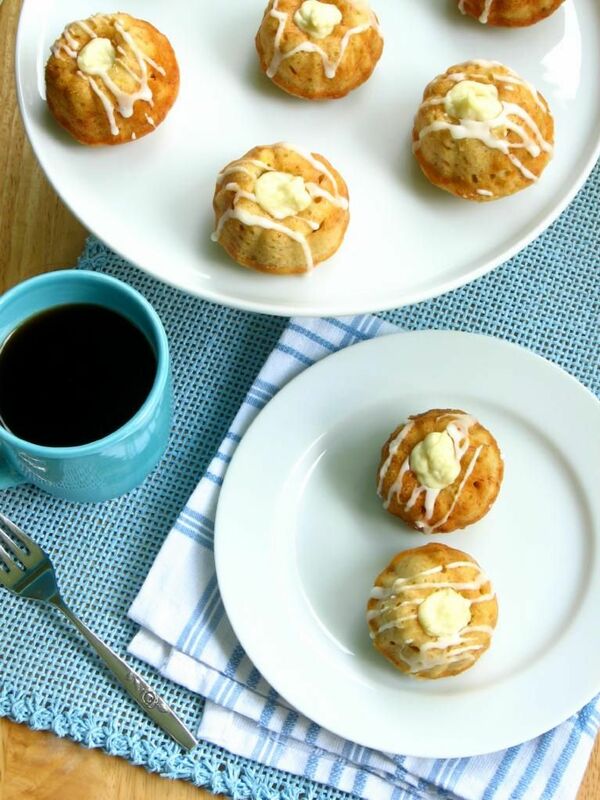 Would be soo good w/ coffee too! Thanks for sharing, great presentation on all of your creations! I stumbled on your post via Tastespotting…and boy, am I glad that I did! I can feel your passion for these cakes a thousand miles away! It’s bake day for me this Saturday, so brb, buying stuff for bake day! Thanks for the recipe! Hurrah! I hope you love them! Let me know what you think! If you’ve given these such rave reviews then I know that they must be one of the best desserts on this earth. I am a love of coconut, banana, and pineapple. So does this mean I will love these three times as much? Yes to all of the above! I like banana, pineapple, and coconut; I cook and bake with coconut, particularly coconut milk, a lot. I run a blog with gluten-free and dairy-free recipes and the coconut pastry cream looks worth trying out! Thanks so much for posting! I’ve added your blog to my blogroll page. Thanks Z! Hope you love it! It’d seriously be delicious stuffed in just about any confection! 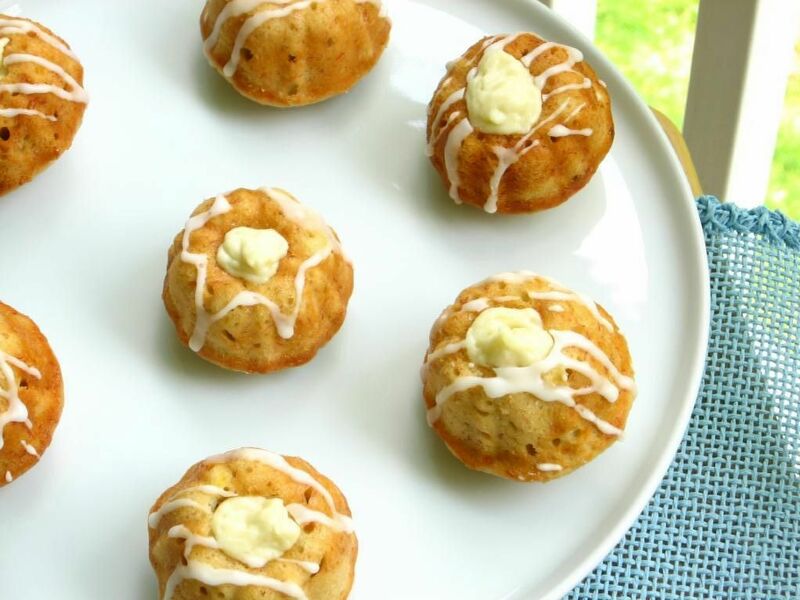 These Banana Coconut Cream Cakes look wonderful and that coconut pastry cream can be put to many uses. Absolutely lovely presentation! Amazing! Every bit of that small bite sounds amazing to me. No whining here. I love how you were able to use up leftovers from another baking project. I need to work on that! And I love that you love baking mini things like I do. Thank you, Megan! I’m actually trying to work on not wasting my leftovers as well . . . necessary for my budget lately!! Eek. great persuasive skills! 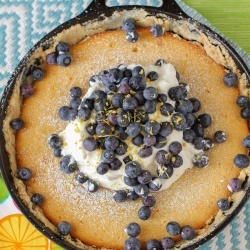 and ingenuity… 3 recipes combined into one delicious dish. Thanks, Tia! I was trying to really lay it on thick in this one! Oh my you’ve totally sold me on this Julie! And how could I have lived my life without trying coconut pastry cream ever? I have everything to make these tomorrow. I even bought a 12 mini bundt pan. I’m all ready. I will post tomorrow how they turned out. I’m so excited to try them. I love your blog. Thank you, Lanell! I can’t wait to hear what you think — these are my absolute favorites!!! Hi Julie! Le Yum. I am borrowing mini bundt cake pans to make them for a school open house of sorts and can’t WAIT to see the looks of ecstasy once people take a bite. 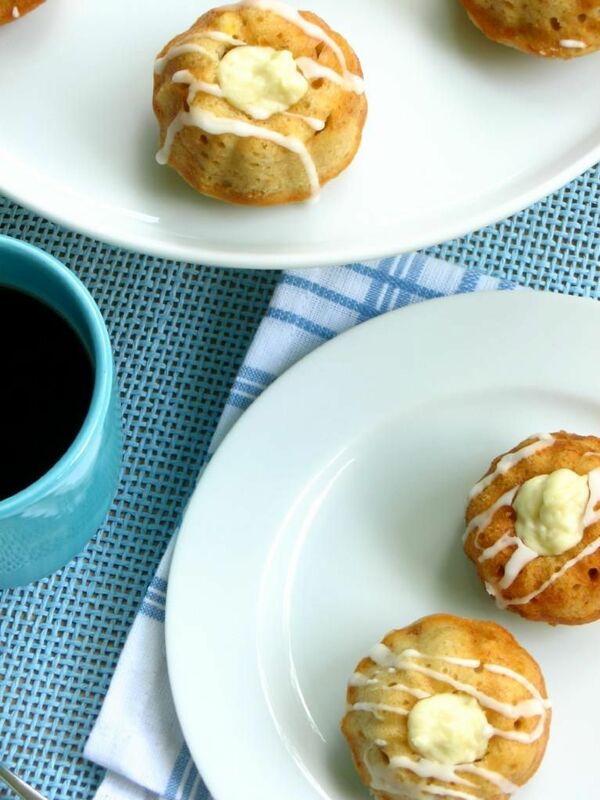 Question: do you think it would be ok to bake the little cakes, freeze them (without the pastry cream and glaze, of course), then bring them back out and finish them when I need them? I may not have time to bake them then, but I will next week. 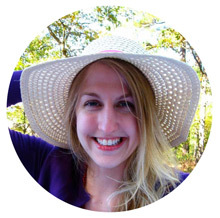 Just discovered your blog via Jessica at How Sweet It Is. Love her blog. And now, love yours. Hi Cristy! I do think freezing them would be just fine — just thaw overnight in the fridge before you fill and glaze. I hope everyone loves them!